Adjustable side belt drive for range of RSC weights and sizes. Case length 6 inches and up; width 5.5 inch to 21.5 inch; and height 4.75 inch to 24.5 inch. Up to 72 mm tape widths and 30 cases/min. 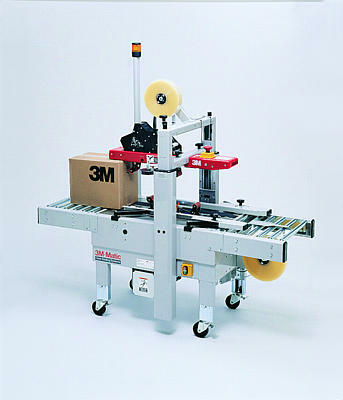 3M AccuGlide II Taping Heads included.